The Rebel Sweetheart. 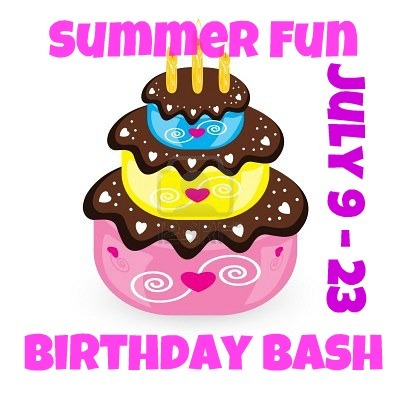 : Sign-Up | Summer Fun Birthday Bash. Looking for another giveaway hop to join? 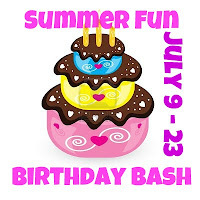 Then mouse over to Jacqui's page and sign-up for the Summer Fun Birthday Bash! This is a family-friendly giveaway hop in celebration of Jacqui's blog inspiration and her blog's transformation. The event will be held from July 9-23, 2012. Full details and sign-up form can be found here, too.